As you can tell from the titles of recent posts (running on empty, relapse, sick), we have been rolling through a bit of a trough lately. Running is usually the antidote, but after getting re-energized at the 5k on April 1st and wanting to get back to running, I was sick for two and half weeks, and didn't run a step. At the same time, what I have been eating has been from the wrong side of the food pyramid, or plate section, or whatever (out of) shape it is right now. Though I haven't been running, it seemed I woke up sore more often, so even after finally kicking the cold, I was left feeling blah, overweight and out of shape. Now that I was finally healthy, I had no excuse to prevent me from lacing up my shoes, other than inertia. I don't have a race on the horizon, but I plan to run three times a week as if I did. Part of starting over was checking how far I had fallen. The scale smiled sarcastically from the corner of the room. I hadn't weighed myself in weeks and was dreading what the scale would reveal. How I feel and move from day to day is a better barometer, so I try not to obsess over weight, but the plotting, tracking, and Excel side of my brain needs some hard data. I plugged in my gender and height and stepped on. This is going to be ugly. If I had been drinking, I would have done a spit-take. The number that popped up was equal to the lowest number I have seen in a decade. Before I could finish my "Holy Crap! ", my brain thought "Wait for it..."
After alighting on the weight number, the scale counts down from five before showing you the estimate of your body fat percentage. Not sure why the countdown is there, maybe to give me an opportunity to brace myself. The surprising weight number was offset by an increase in the fat percentage number. In the past month, I had been trading muscle for fat. One number told me I hadn't fallen behind, and the other told me I still had work to do. I went for the first run in three weeks. It was a bit of a struggle, getting my body moving again. The corners of my lungs still felt a little gunked up, and my muscles creaky from lack of use. I planned to take it easy, and my body made sure I kept my promise. I ran three times this week, all on the same three mile loop. Though it was no easier to get out the door, I felt a little better after each run. 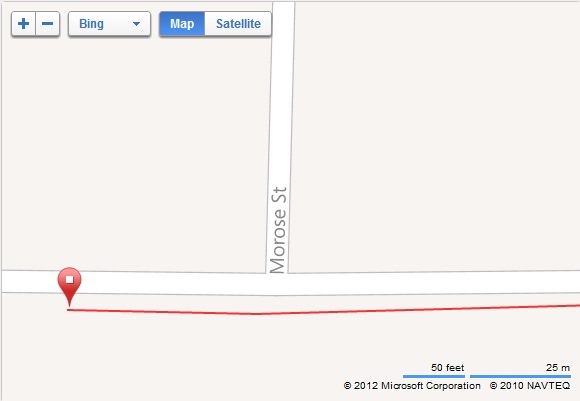 I was looking at the stats on the Garmin site and for some reason zoomed in on the map of my route. I had never noticed the street name near the finish, but it seemed appropriate. There is a photo that has gone viral and spread around the internet, or a "meme" for those more savvy than I. It is called "Ridiculously Photogenic Guy". 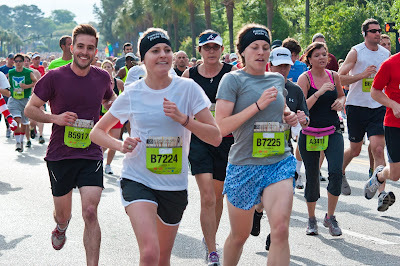 It is photo a smiling man named Zeddie Little running in the 2012 Cooper River Bridge Run, a 10k in South Carolina. Not that he needs to be pointed out, but he is the guy in the purple. 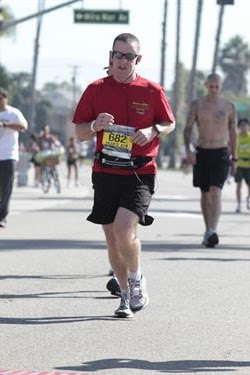 It is a little weird what takes off on the internet, but I will admit it is a surprisingly good picture for someone running a race. After the finish of a big event, it is always tempting to look at the photos to relive the experience, but most race photos are not very flattering. Most of us are not pretty when we run. Assuming you are putting in more than a minimal effort, your face is usually strained and sweaty, and though you are exercising, you seemed to have gained ten pounds since the gun went off. This, and the fact that race photos are ridiculously expensive means that they rarely get purchased anymore. There are the occasional decent shots when you see the photographer and remember to smile, like this one from Eugene in 2008. 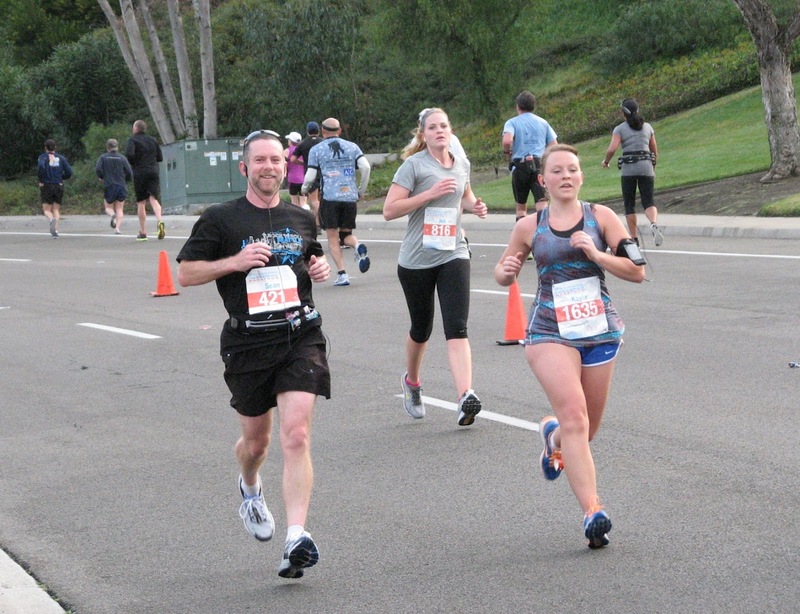 Some aren't pretty, but at least show that you are pushing hard toward the finish line, like this one from the Carlsbad 5000 last month. According to the story, Mr. Photogenic guy had just seen and waved to a friend, so he had a genuine smile on his face. 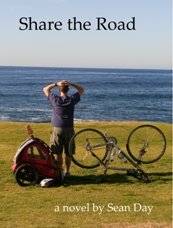 I have written previously about how friendly faces at the side of the road can give you a boost, even at mile 26, so I am not surprised that this is why he is practically beaming. The better photos I have from races are when I have just seen friends in the midst of the battle. 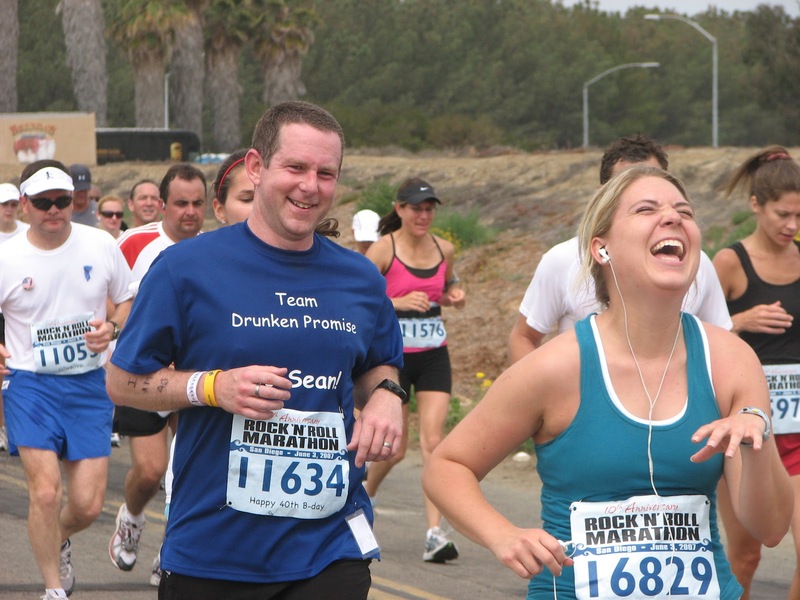 But one of my favorite photos from a run is one from San Diego back in 2007. It was a great event - I was running with six friends, it was only my second marathon finish, and I was running on the day of my 40th birthday. We saw friends at mile 4 and mile 8, but then I wasn't expecting to see anyone until the finish. Matt and Holly surprised a few of us by cheering us on at mile 21. This is usually the point where the Wall appears, so a friendly face is a God send. Add in the surprise factor, and I was soon smiling when I wanted to be weeping. Though it is a decent shot of me, what really makes it is the gal just ahead of me. I don't know what prompted her reaction (maybe Holly was dancing a jig or something), but she is not only smiling at mile 21, but letting loose a huge laugh. It makes me smile every time I see it. 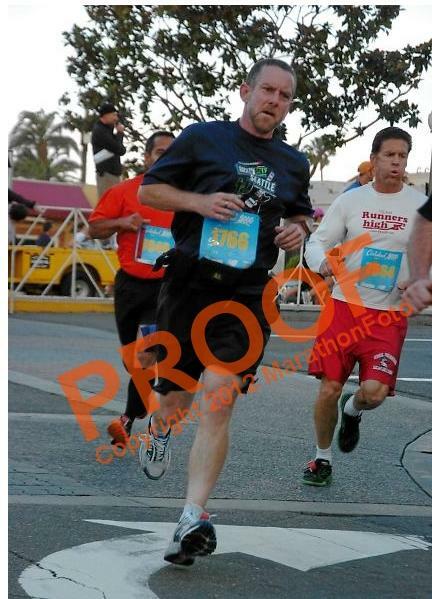 Maybe this one will make it around the world as "Ridiculously Happy Marathon Runner". "There is a wonderful line in a book by J.M. Barie - and no, it's not Peter Pan, and I'm not going to ask you to clap if you believe in faries..."
"But in another book by J.M. Barie called The Little White Bird...he writes..." He started flipping through a small book on the podium until he found the page he was looking for, and then he put on his reading glasses. "'Shall we make a new rule of life...always to try to be a little kinder than is necessary?'" Here Mr. Tushman looked up at the audience. "Kinder than is necessary," he repeated. "What a marvelous line, isn't it? Kinder than is necessary. Because it's not enough to be kind. One should be kinder than needed. Why I love that line, that concept, is that it reminds me that we carry with us, as human beings, not just the capacity to be kind, but the very choice of kindness. I swear we are going to rebound here. I don't know if it is the sunnier weather, the running, the infrequent use of vitamins or just dumb luck, but I rarely get sick these days. Even though there is more exposure (lots of friends with kids dragging home sniffles) I have managed to avoid catching anything that has blown through the circle of friends. It felt like I was coated in Teflon, and germs had no place to grab on. I'd like to say it is the clean living and good diet, but I think we would all know that to be a lie. My spotless record is no more. This time I got taken down, and I have been sick for almost two weeks. I am not even sure where I picked it up, but I know how it got in. The night of Kristy's birthday kicked it off. Not so round meals, plenty of sangria and wine, and a very short night of poor sleep. I was up at 5:00am the next morning to run the Carlsbad 5000. The next two days were filled with shovels, concrete and jackhammers, and shorter nights of sleep as we were working four hours from home. My body was beat down and the welcome mat was out for any virus to come waltzing in. They brought lots of friends and have set up camp. I don't like taking pills. I'm not sure why or how it started, but I avoid medication if I can. It is not a distrust of "Big Pharma", though I am bothered by all the commercials telling me to "ask my doctor about..." How about if my doctor who went to school for all those years suggests an appropriate drug, and not the patient who saw a commercial between episodes of Survivor. I digress. If something is seriously wrong, I don't hesitate to take the appropriate medication, but my reflex is to let the thing run its course. I don't take Advil after a hard run, for example. Not only do I know exactly why it hurts, but the pain is the body healing itself and I don't want to interfere with that. Nearly (probably every) drug has some sort of undesired side effect. Advil is hard on the stomach and kidneys, Tylenol is hard on the liver, etc. Let the body fight its own battles when it can. I read some article years ago and it stuck. It said that all of these over the counter cold remedies did nothing to speed your recovery. They attempt to mask the symptoms, but you actually don't get well any more quickly. The side effects of the medication are probably less permanent, but much more noticeable. Decongestants make me spacey and/or sleepy, things I don't need any help with, so I usually just let the thing run its course without any interference or delay. I don't think the article said that you actually get better more quickly by avoiding medication, but that is how I have taken it. Let your body be sick, let it recover. At some point of the cold, after days of sinus issues, the hacking cough arrives in the dead of night. Out come the cough drops, tea with honey, throat sprays and anything else I can think of. It is always worse at night, and sleep is precious. My body needs sleep to recover, and I don't want to keep everyone else awake by hacking through the night. Out goes the aversion to drugs and I dig through the medicine chest for relief, hoping that what I find doesn't have an expiration date from the 90's. Exhaustion and the desire for sleep will trump many a principle, especially those based mostly on hunches. Thank you Chloraseptic. You haven't aged a bit since your expiration date last June. The vestibular system is what gives people, and dogs, their balance, coordination and equilibrium. When dogs develop IVD, their equilibrium becomes disrupted suddenly, dramatically and without warning. The profound symptoms of this disorder can incapacitate the dogs and are frightening for owners, as well. And of course the Idiopathic portion of the name means they don't know the cause of it. Just like last time, I was at work when the symptoms came on suddenly, and Matt and Holly were left to try to comfort her. Only this time my job site was four hours away from home. From their description, it didn't sound like it was as bad as last time, but I still felt terrible being so far away. From our last visit to the emergency vet, I learned there is little more you can do to treat the symptoms other than comfort her and keep her safe, which is helpless in its own right, but being so far away left me feeling doubly helpless. I made it home by 10:30pm to find her panting and whining in my room. I sat down, pet her and said her name over and over trying to calm her down. It didn't help much. Holly let me know that she had been able to hand feed her and then give her normal insulin shot just before I arrived, but she still wasn't drinking. Since the disease causes her world to spin and make it hard to track the horizon, I sat in her bed with my arm around her to give her something to brace against. After about 45 minutes, she calmed down enough to drink some water and fall asleep. Although it was clear she was panicky and disoriented, she again didn't appear to be in any pain. Since there is little that the vet can do other than give her fluids and nausea medication, I decided to just keep her home and see how she was the next morning. Now that I could see her in person, it was also clear that this episode was not as bad as the last. She was so far gone last time with her tongue lolling out the side of her mouth that I was convinced she had suffered a stroke. There was head tilt again, but it was more like she was perking up to listen to you. Her eyes were also not flicking back and forth nearly as much. We were both happy to sleep through the night without incident. I had the next day off from work, so I was able to take care of her and monitor her progress. I used her harness to help her up, guide her, and carry her when necessary. Now three or four days later, she has slowly improved. 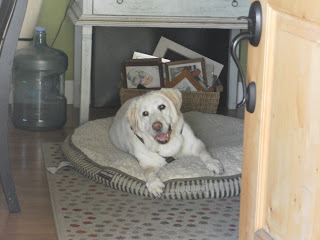 She is still unstable when she walks, particularly on the hardwood floors, but she doesn't need to be led everywhere. She is eating and drinking relatively normally, and starting to lose the head tilt. We seem to be headed back out of the woods. This morning she woke me up early to eat, so unfortunately that part of normal is back. When I filled her dish, she tentatively walked over to gobble it up. After going outside to take her morning constitutional, she crossed the slippery hardwoods without incident to the safety of the carpet. Then she let out a good sneeze and knocked herself to the floor. It was sad and a little funny at the same time. Anxiety changing to smiles is another good sign of progress. Although the St Paddy's Day Dash used to start off the running season for me, it now starts a couple of weeks later. Not that the running season ever really ends these days, but the Carlsbad 5000 seems to kick things off again in the new year. 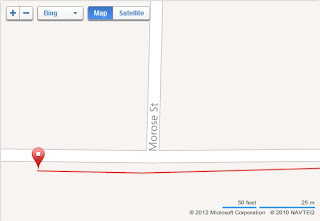 This was my third running of the "World's Fastest 5k", and it was another great afternoon, if not my own fastest 5k. We had celebrated Kristy's birthday the night before, so it had been a rather short night of poor sleep. I had spent the previous days planning and working the party, and hadn't prepared very well for race morning. Trying to gather my gear and take care of all the pooches without waking the household took longer than expected. I showed up in Carlsbad about 15 minutes before the gun was set to go off. I still had to pick up my race bib and track down the Hawkin's clan and our friend Steve. I had to run. I ran the half mile to the race check in, pinned my bib to my shirt, and found Sean and Steve standing in the nearby Porta John line (they were running late as well). Already warmed up from the run to the start, we walked the few blocks past all the old guys in our division. Steve is just getting back into running, and neither Sean or I had been running much, so we didn't press too far into the crowd. The gun went off and Sean was still trying to get his gear in order and I hadn't stretched out my twitchy calves. Unprepared. Halfassery. The crowd walked forward until it reached the starting mat, then picked up the pace. We lost each other immediately. I weaved my way through a sea of runners, knowing I wasn't trained for a new PR, but wanting to do my best. The crowd thinned out a bit and I heard a few watches beep so I thought we must be closing in on the first mile marker. What I thought was a mile, was only a half mile. More questions about my conditioning. When I had stepped out of my car just 20 minutes earlier, the wind was bending the tree tops and it was pretty chilly. In the first mile I was somehow already dripping sweat. When we rounded the first hairpin turn, I realized I was feeling so hot because I was running with the wind. No more. The next two miles were into the teeth of the wind and I was quickly chilled then dried. It would be slower going, but somehow the force pushing back on me focused my efforts. I kept going at a comfortably hard level, and my pace slowly improved. After a few slow climbs and descents, there is a short drop near the finish line to give you a boost. I crossed the line 30 seconds slower than last year, and more than a minute behind my PR at the Turkey Trot, but after too little training and sleep (and a little too much birthday wine), I was pretty happy with the effort. I looked for Sean near the finish line, assuming he had come in a couple of minutes ahead of me. When I couldn't find him, I sent Marci a text. She said they were coming in soon. 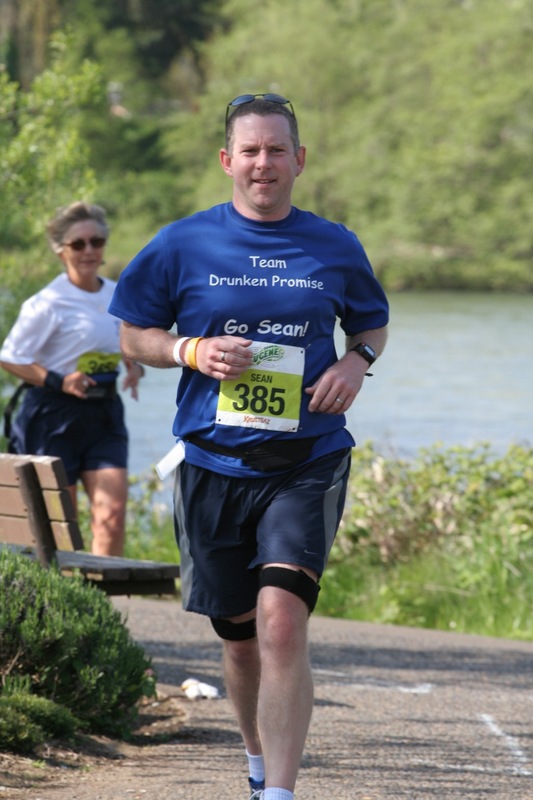 Sean's goal for the year is to get Steve to the finish line of his first marathon. He plans to run a half marathon with him sometime later in the year, and at the last minute decided to run with him during the 5k. 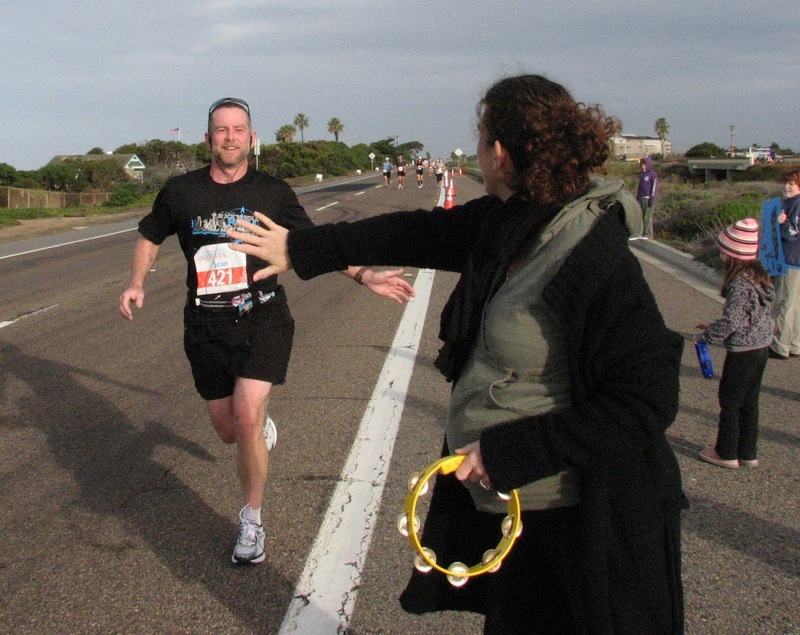 He cajoled, bantered and joked Steve to the finish line, achieving the goal of running without stopping. We met up with Marci, swapped stories, enjoyed a free beer, and waited for Marci's division to go out. She did a great job, running strong only seven weeks after giving birth. The other two Hawkin's kids had run their own Junior Carlsbad the day before, and did a great job cheering us on. I have been in a funk lately. I haven't run much since the marathon in January, and I have been taking in too many empty calories. I wasn't prepared, and wasn't as excited about the race this year. But the energy and dedication of race day, and spending time with friends at the finish line have re-lit the spark. I don't have anything on the race calendar right now, but I am ready to run again. Though we run throughout the year, the season does seem to be nicely book-ended by St Patrick's Day and Thanksgiving. The Turkey Trot is a time to celebrate, and the 5k in the spring is the time to get the party started again after the hangover wears off.